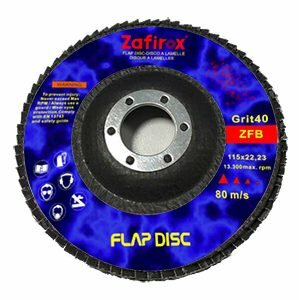 Top quality zirconia flap disc at a very competitive price. The fiber pad allows a total use of the disc until the abrasive wears out completely, while ensuring high resistance even in applications where a strong removal is required. Zirconia abrasive is suitable for iron and steel.